Angela Byrne, Marion and Nick Davison, Julian Allen, Chris Boggon, Clive Richardson, Chris Jeggo, Peter Hackman, Martin and Heidi Vinson, Bob McLeod, Chris Juden, Matt Carolan, Dave King, Paul Taylor and Mark Waters. 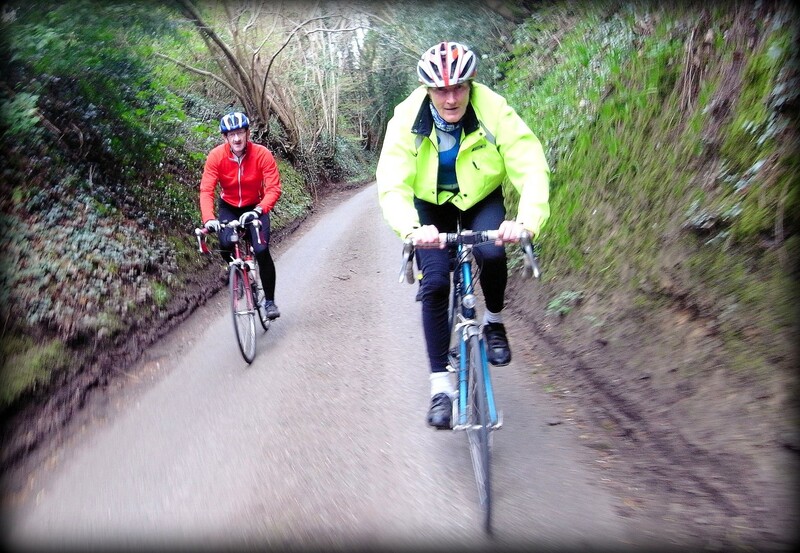 Chris Wright (Alton CTC) and Andrew Grundy (East Surrey CTC) were guest riders. 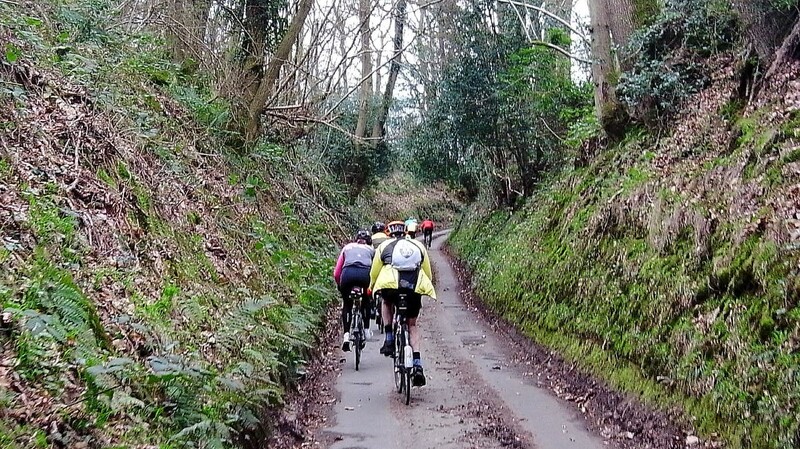 The Bicycle Icycle, which as mentioned above did not live up to its name thankfully, is a lumpy ride – 3,535ft of climbing in 42.5 miles. 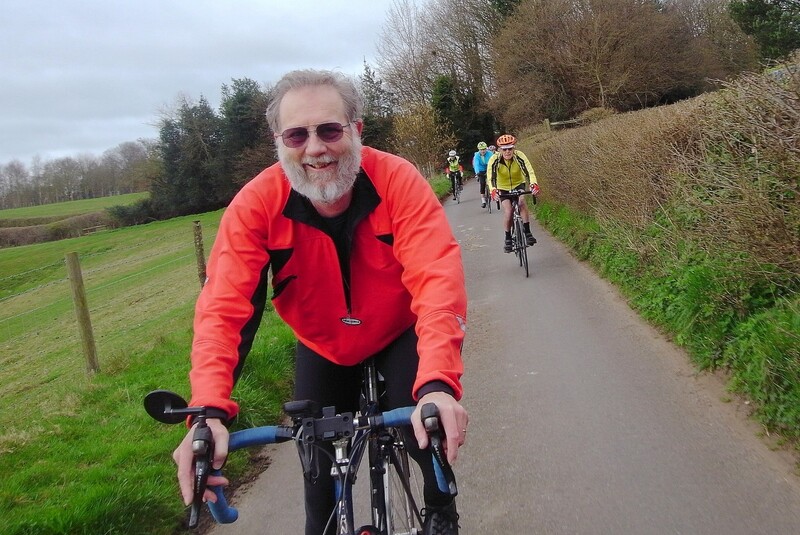 For those who rode the Phil Hampton Memorial Ride the previous day, it must have been especially challenging: hero of the day must surely be young Bobby McLeod who rode both in fine style; a couple of others found it all too much and did the sensible thing by retiring gracefully. 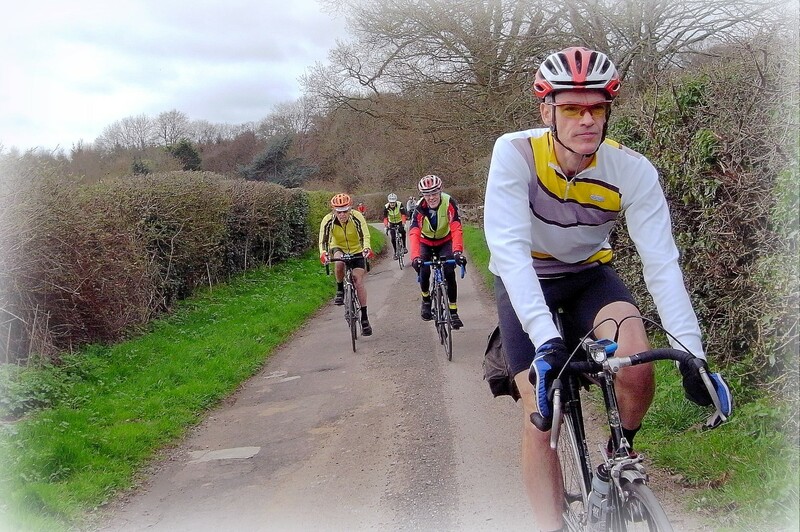 The route, for anyone wanting to ride it, just for the hell of it, may be found in GPX form on the Events page of our website – follow the instructions to download. 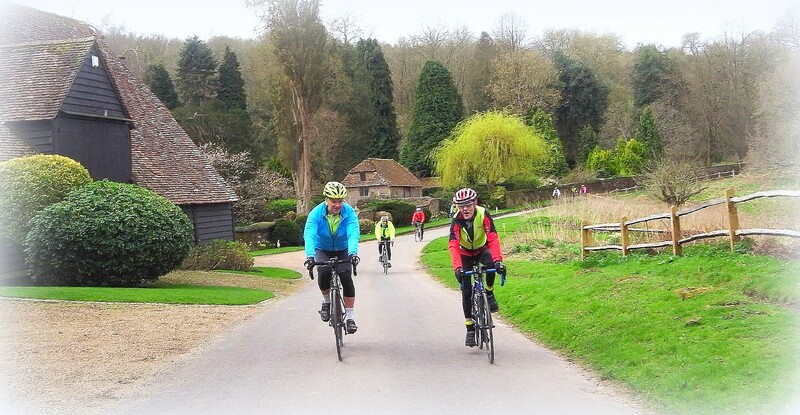 You’ll not be disappointed by the quality of the ride – it really is fabulous from start to finish. 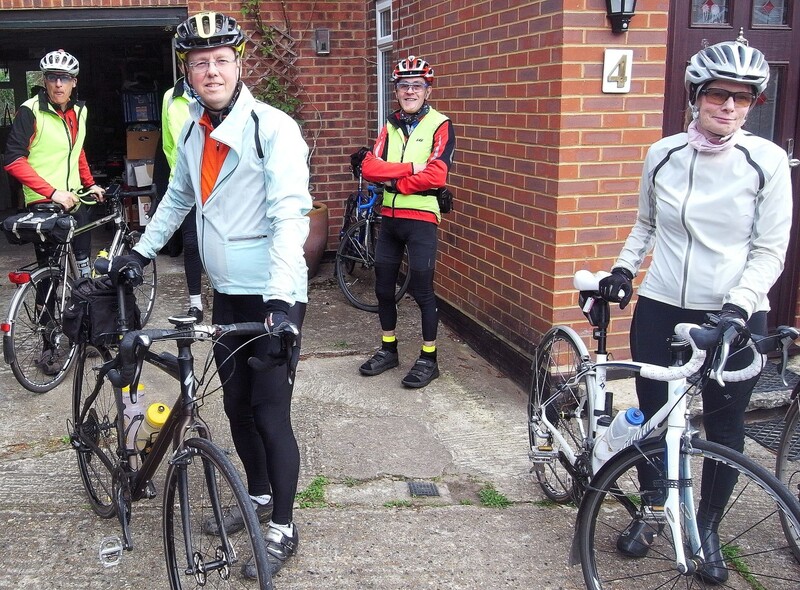 Here then are some photos taken on the ride, starting with several taken at the start. 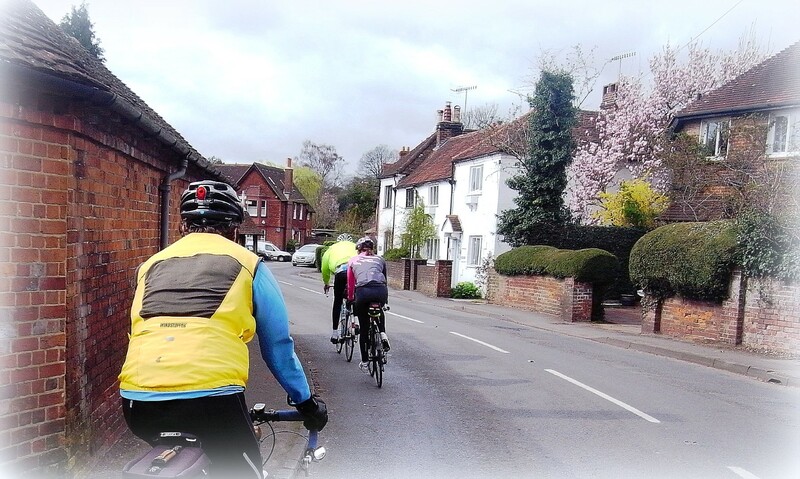 The route starts by heading south out of Godalming to Thorncombe Street and then continues south to wind back past Gate Street Barn to cross the A281 just south of Bramley. 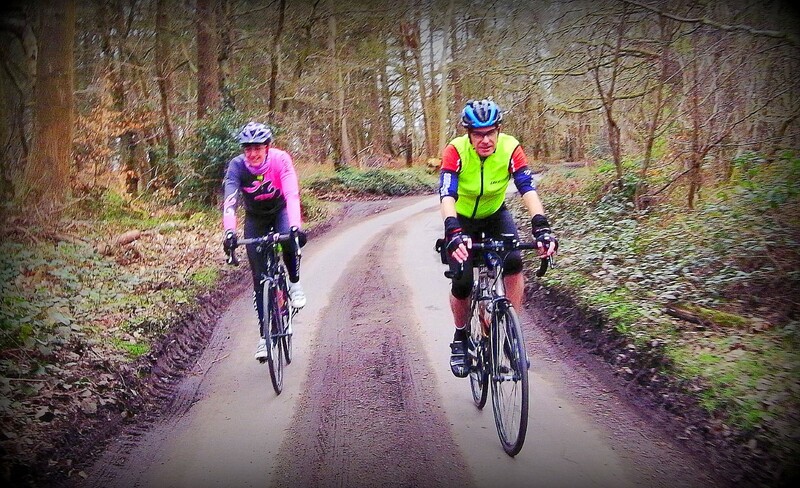 Turning quickly off the 281 on the Cranleigh road, the route makes straight for the Surrey Hills and climbs the nearest one it can find – Winterfold. And it’s no doddle! 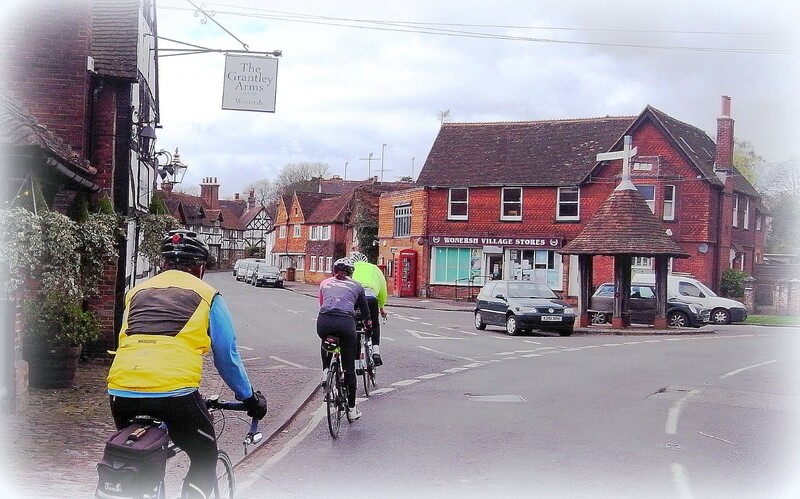 Peaslake is reached after 14 miles, and there’s a shop here which sells the most delicious homemade cheese straws. 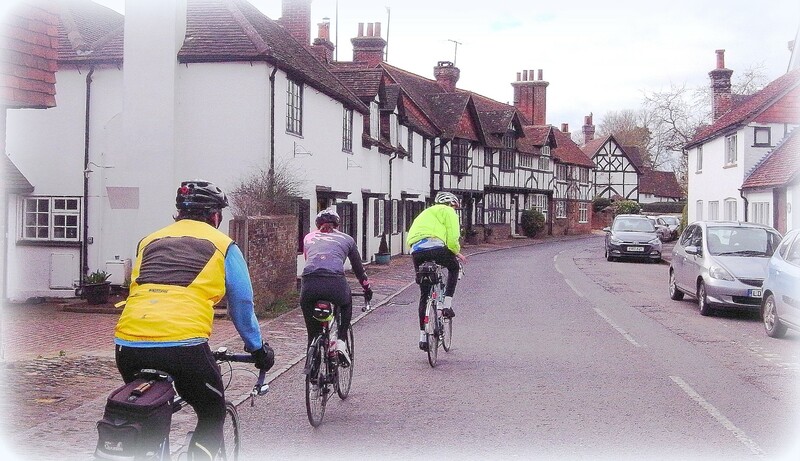 Normally we stop but not this time – there were a few hundred mountain bikers around and some felt disinclined to queue, so on we continued up the appallingly steep Radnor Road and so past Holmbury Hill to cross the B2126 at Holmbury St Mary. 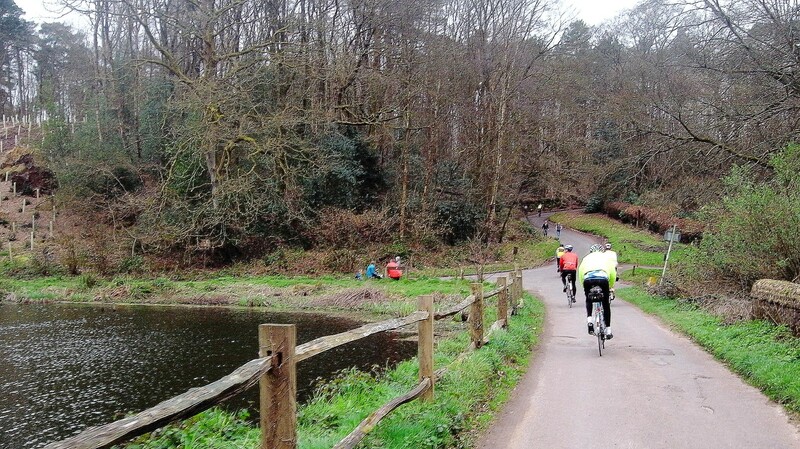 The next climb takes one towards Leith Hill and is surprisingly gentle – once the initial lumps are negotiated (and these aren’t gentle at all). The final section of this ascent takes one past the turning that we’ll be going down, once the Info Control answer is obtained at the Rhodedendron Woods car park; getting to it involves a steep descent followed by the re-ascent of the steep descent. Many lesser mortals have been tempted to wait at the turning for their pals and then bribe them for the answer. 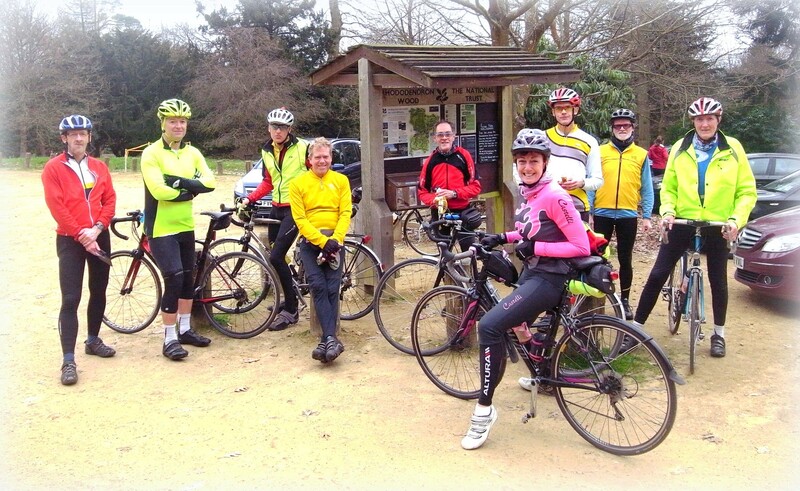 None of us had the temerity to do this today – not with the organiser keeping an eagle eye on proceedings! Once back at the turning, we make the turn and head for Friday Street and its pretty lake. 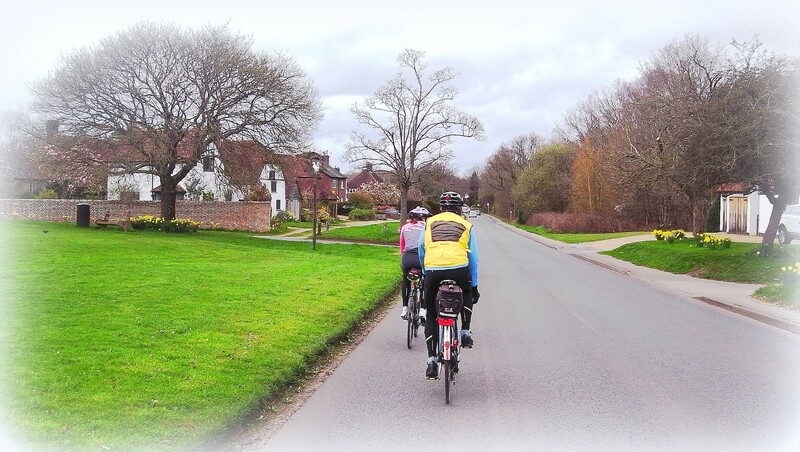 After Wonersh, we continue over the A281 at Bramley and up Snowdenham Lane to Thorncombe Street once again, this time traversing it east to west, to ride past David Shepherd’s (old?) house on the Hascombe Road. There are two more hills remaining, the first being the killer Mare Lane which reaches the near vertical right at the top. 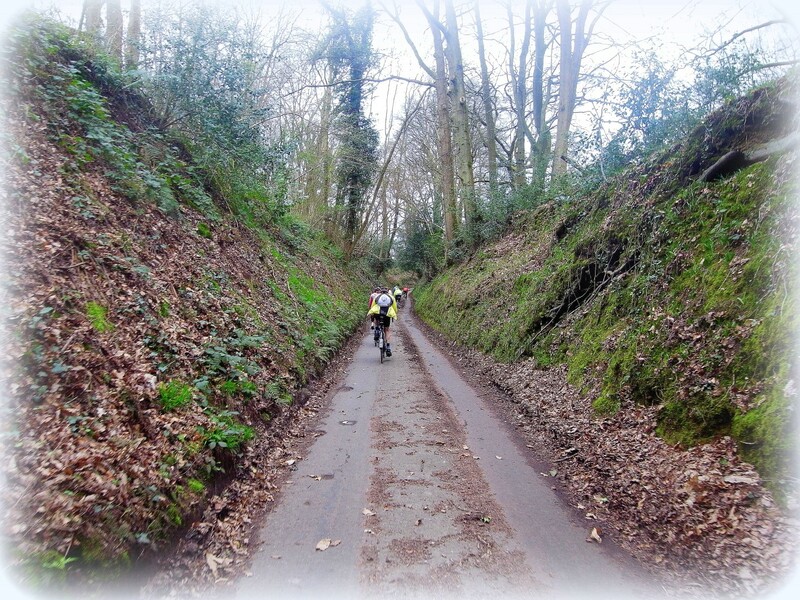 Below are a couple of shots of afforementioned lane. 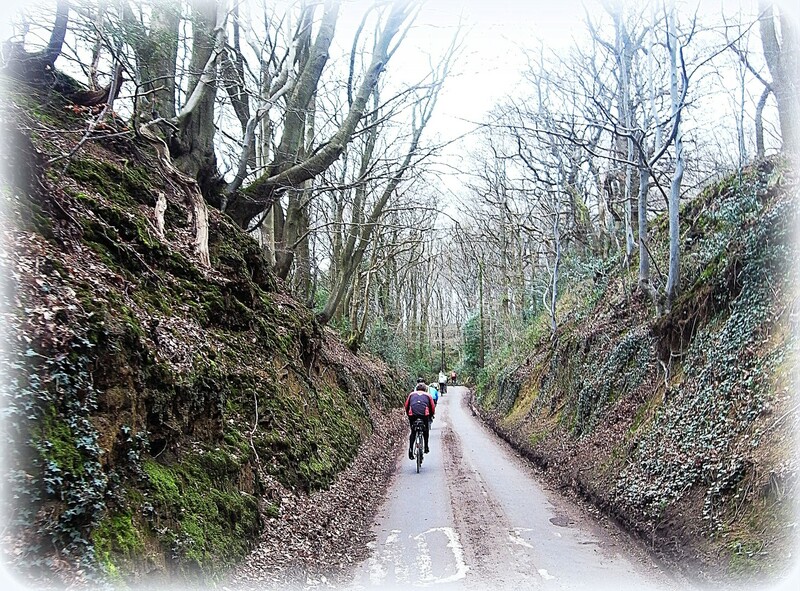 The descent down the other side is well deserved, but then comes the final short but steep climb on Salt Lane before the fast descent towards Milford Station and the last short section along the A3001 and up Hawthorn Ridge to finish at Quarry Hill. Phew, all over for another year apart from making lots of tea for everyone. 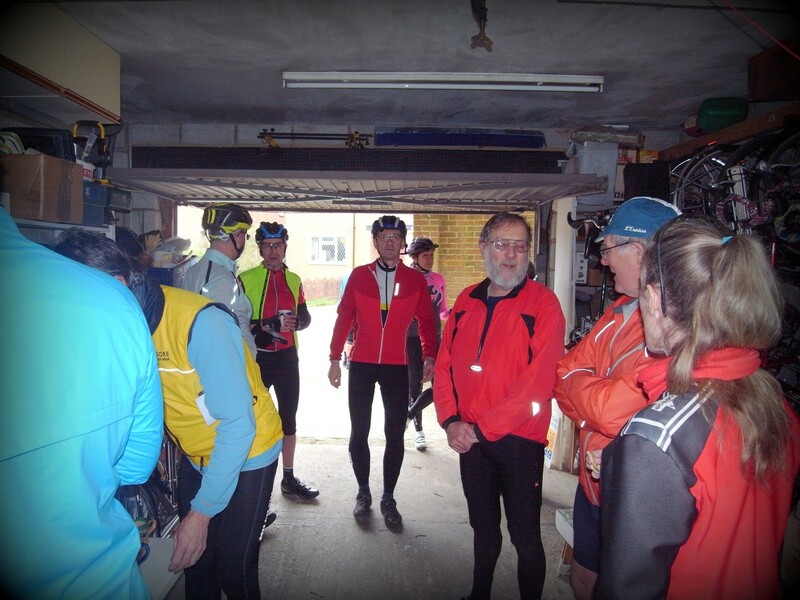 Owing to the lack of refreshment stops, the fastest chaps got round in 3 hours 39 minutes. 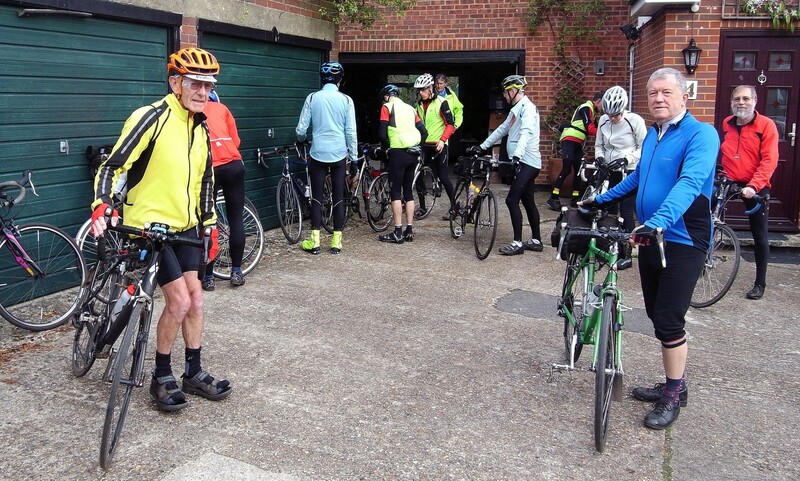 Well done, them, and all who rode the event, including those who rolled in well over an hour later having enjoyed lots of refreshment stops – sensible people! Look out for an extended version of the ride in the autumn. Great report and wonderful pictures, well done Mark. 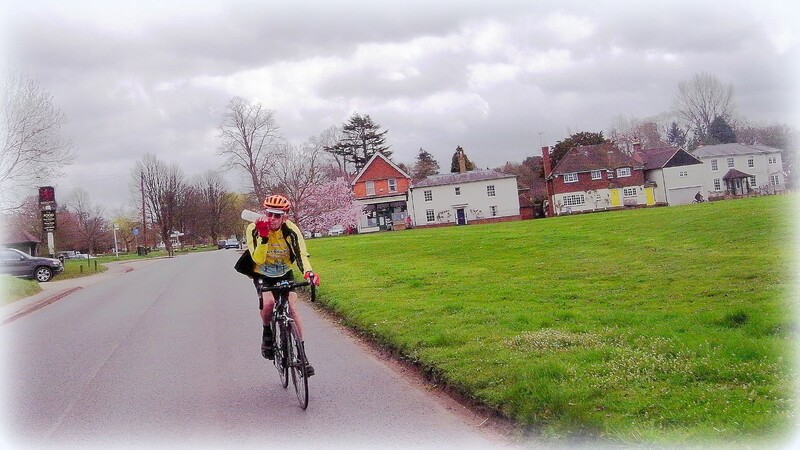 Most impressed that you were able to remove your hands from the handlebars on Mare Lane long enough to take photos! 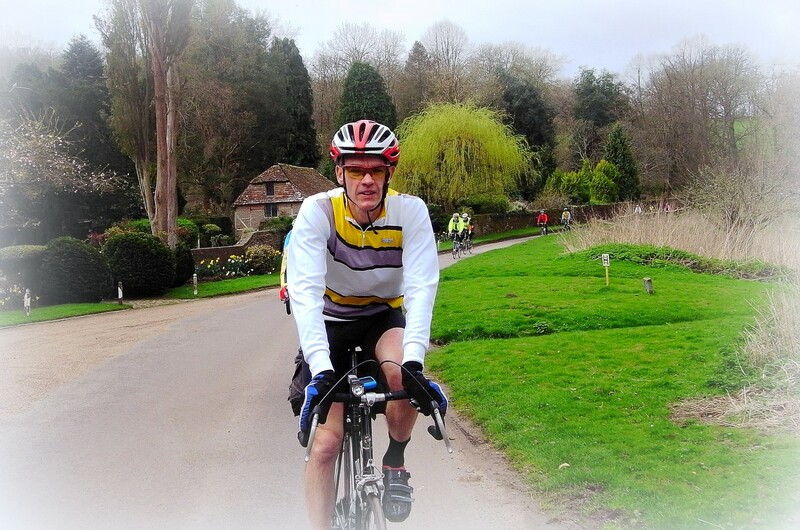 A most enjoyable ride (that was Martin’s comment as you know I am not a lover of hills!!) and the refreshments were most appreciated. Fortunately only one hand needed, Heidi; definitely couldn’t manage two! You say the nicest things Mark. It must have taken longer to prepare this report than it did for you to do the ride. Thanks very much for an excellent day. 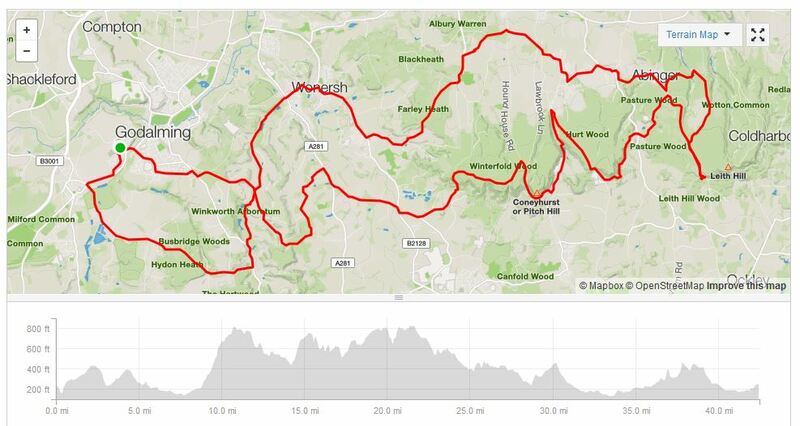 If you were agreeable it might be possible to use your route for a G3 Wednesday ride. I would suggest starting at Secrets Garden centre not your residence in Quarry road.??? ?